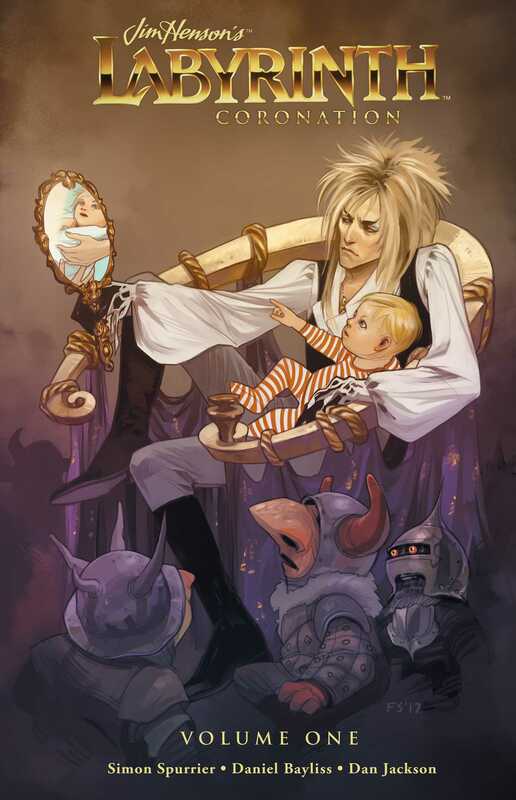 Long before Sarah ventured to save her baby brother from the clutches of the Goblin King, another young woman sought to save her child from an unknown fate within the Labyrinth. Set in 18th-century Venice, Jim Henson’s Labyrinth: Coronation is a striking look into the mysteries of the Labyrinth itself, uncovering the fate of a small boy named Jareth who would one day be King. Simon Spurrier (The Spire, Jim Henson’s The Power of the Dark Crystal) and Daniel Bayliss (Jim Henson’s The Storyteller: Dragons, Big Trouble in Little China/Escape from New York) present a look into a magical world where nothing is as it seems and introduce Maria, a heroine instilled with courage, hope, and determination.